Self-Absorbed Boomer: Party on a tanker? Yes, if it's PortSide NY's Mary A. Whalen. Party on a tanker? 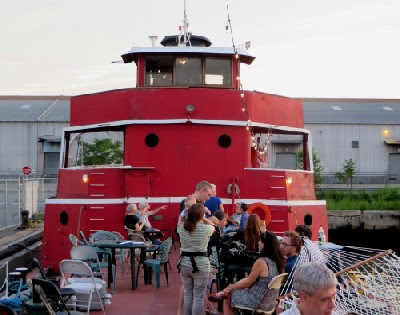 Yes, if it's PortSide NY's Mary A. Whalen. 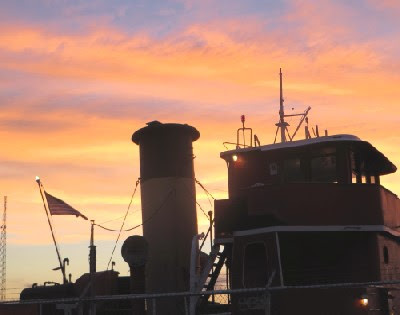 A week ago PortSide New York, headed by my friend Carolina Salguera, played host to a weekend long festival aboard their historic coastal tanker Mary A. Whalen. 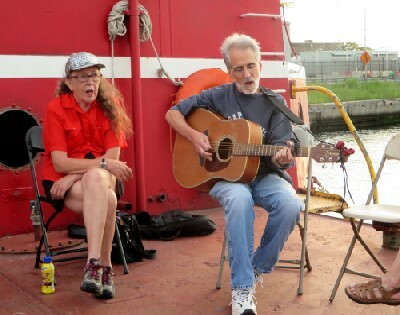 I went on Saturday afternoon, when a folk music sing-along was scheduled. Leading the singing were A. Heather Wood and Jerry Korobow of the Folk Music Society of New York. 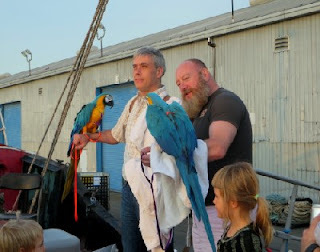 Two macaws were among the visitors aboard. 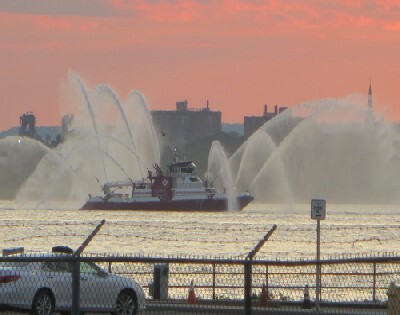 Off in the harbor a fireboat was making a display of spray. 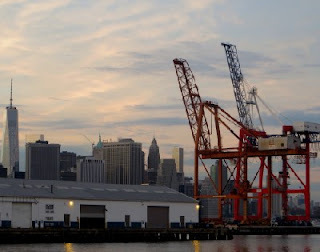 Looking aft, I saw cranes of the Red Hook Container Port and the skyline of lower Manhattan. and "Haul Away Joe," which I'd learned first from the Kingston Trio, then from the Clancy Brothers and Tommy Makem. TBT: Jimmy Dorsey, "So Rare."